Pneumatic Thruster Slide | Optimax | OSX | PHD, Inc. The PHD Optimax® Series Light Duty Pneumatic Thruster Slide is designed to be extremely versatile and economical for use in any industry. 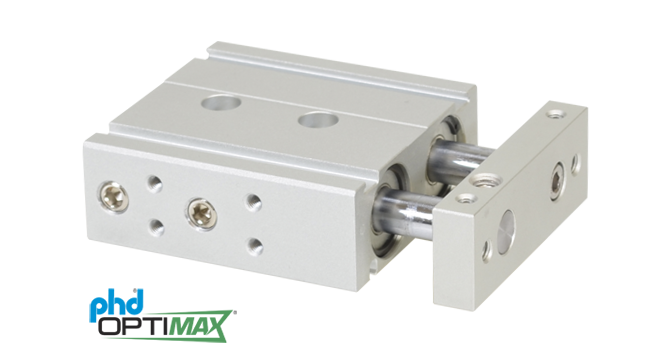 The Series OSX Thruster Slide is available in 5 bore sizes with 7 travel lengths to fit a variety of applications.